SSL Certificates Secure Your Web Site Now! With our low-cost SSL certificate, you can secure and protect your website's data transmission automatically. Normally, data sent between browsers and web servers is sent in plain text leaving you vulnerable to eavesdropping. If an attacker is able to intercept all data being sent between a browser and a web server they can see and use that information. With a SSL certificate the transmission between the visitor and your website will be protected from prying eyes. The data sent and received from the visitor's browser (such as a Login form) will be encrypted by the SSL certificate. Making it impossible to capture submitted data. Without SSL encryption the data will be in plain-text. Anybody on the same network (ie: airport/cafe hotspots) as your visitor can potentially snoop out the data (logins, passwords, financial information, sensitive data). Do I need a Dedicated IP for the SSL? Normally a regular SSL will only allow you to apply it to one hostname. For example, abc.domain.com and def.domain.com require two separate SSL certificates as they are two separate hostnames. 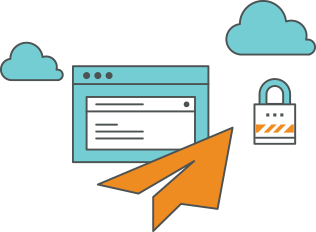 With a Wildcard SSL, you may apply the same SSL to any number of subdomains under your domain. What is a Greenbar SSL? A Greenbar/EV (Extended Validation) SSL is designed to give the highest possible encryption as well as a visual indication to your visitor's browser. The following is an example of a Greenbar/EV SSL enabled domain. A Greenbar/EV SSL will go through a thorough verification process before the certificate will be issued. Verification such as; legal, physical and operational existence of the entity, identity of the entity matches official records and the entity has exclusive right to use the domain specified in the Greenbar/EV SSL Certificate. Yes, if you are our current customer you will receive free installation. Otherwise there would be an additional $15 for the certificate's installation. Unsure if you need a SSL?